So, raise your hand if the price of dishwasher detergent tablets make you crazy. Heck, even the powder detergent is expensive. But because most of us love the convenience of our dishwashers, versus washing our dishes by hand, we continue to shell out the cash for those little liquid tablets. There are a lot of recipes out there for making your own dishwasher detergent, but most of them use Borax or are in tablet form. Let me tell you why you may want to steer clear of both of them. First of all, there are some who would argue that Borax just isn’t something they want close to their drinking glasses and dishes. I’m not necessarily worried about that aspect. What I worry about are the spots that Borax can leave behind for those who have hard water. 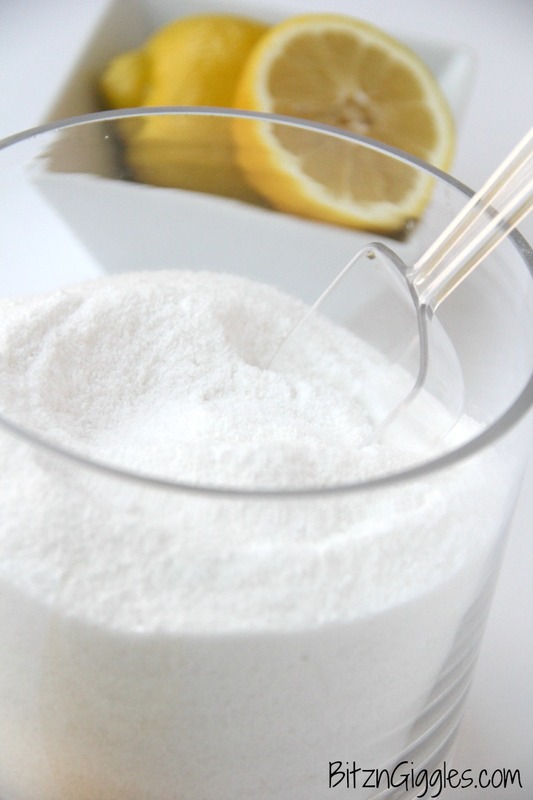 Okay, SO today I’m sharing my own recipe for Dishwasher Detergent. There’s no guessing on how large or small to make the tablets because it’s in powder form and this recipe doesn’t contain Borax. It instead uses a special ingredient that is formulated to make your glassware clear and shiny. Perfect. 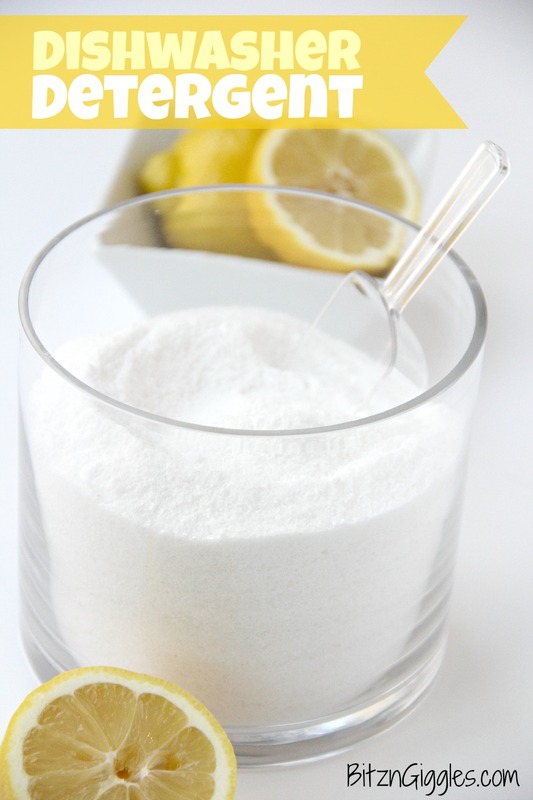 To make the detergent, place all ingredients into a mixing bowl and stir until well combined. And, umm. . .that’s it. And you know what, the essential oil I used is completely optional. The Lemi Shine actually has a lemon scent, but since I LOVE the smell of lemon, especially in the kitchen, I kick everything up a notch by adding some essential oil. When you add the powder to your dishwasher, fill the compartment completely. I also like to use some vinegar in the “rinse aid” compartment for a additional natural cleaner and rinse agent. I called the manufacturer of my dishwasher to make sure it was okay. There are some dishwasher manufacturers that would advise against doing this. Reason being, the acidity of the vinegar can actually damage the rubber components in the compartment. 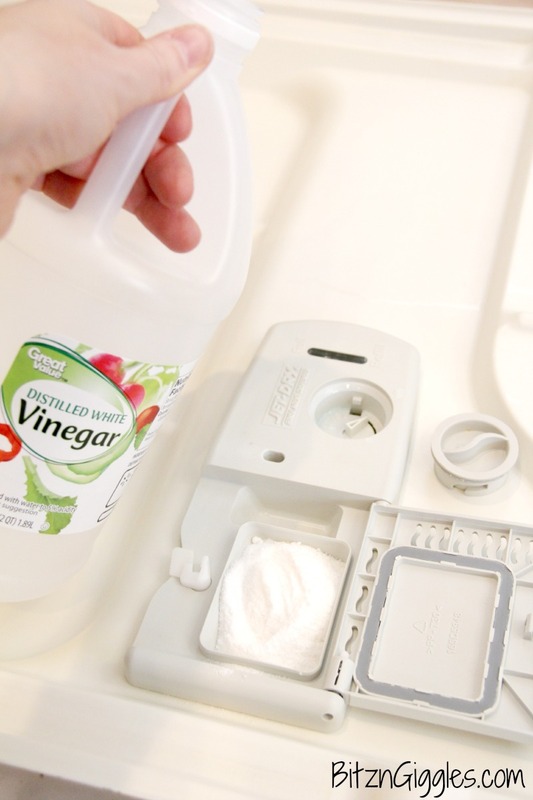 If you like the idea of using vinegar, an even safer bet would be to place a small cup of vinegar in the top shelf of your dishwasher, rather than pouring it directly into the rinse aid compartment if you’re unsure of whether or not it could harm your appliance. 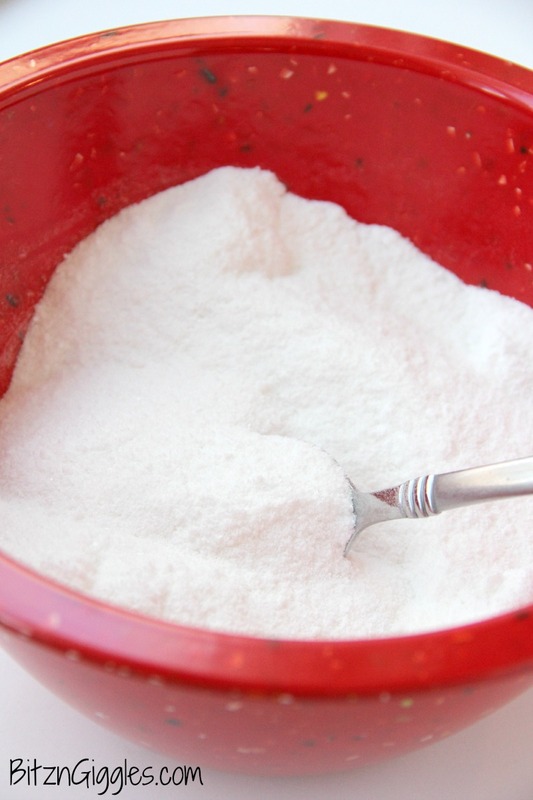 This detergent recipe will SAVE YOU MONEY. You’ll laugh every time you pass by those expensive detergent tabs. If I were to guess how many “washings” I get out of the recipe, I would say 3-4 weeks worth. It really just depends on how often you run your dishwasher. I normally run mine once a day. So, happy washing. I hope you try this recipe. I’d love to hear about your results in the comments! Wondering if you know if this is safe for stainless steel interiors? Lisa, I don’t have a stainless steel interior but I can’t imagine there is anything in the recipe that would harm yours. I used a recipe similar to this but used washing soda, baking soda, lemonade koolaid, and kosher salt. It clumped all up in the dispenser and left white residue all over my colored dishes. Just wondering if u could give me any advise or if u kno why this happened. Thanks! I’m not quite sure why it clumped but the lemi shine in my recipe should take care of the white residue where the lemonade didn’t seem to work for you. Homemade recipes for dishwasher detergent can also produce less than desirable results if you have hard water. I would love for you to report back if you use my recipe. I would be excited to know it works better for you! This is a great recipe. And thanks for the great tips. I’ll be pinning! You are welcome and thanks for the pin! This recipe for detergent looks much better than the current one I’m using. I’m going to give yours a try and see how well it does. Good luck, Brandi! I hope it works well for you! I have used the Lemi-shine and liked it. But I started using plain, powdered citric acid I got at my local bulk food store. Works great, much cheaper (about $2.50/lb.). I substituted powdered citric acid for the lemi shine but I’ve been having major problems with the mix clumping up. More specifically it seems to form one huge mass that can’t be easily broken down. I’ve had this problem twice now, the second time I was very careful to not allow any moisture in my container. Any ideas how to fix that? I have a couple ideas for you. First, after making your detergent, keep it uncovered and try stirring it every day the first few days. It may help with the clumping. Second, I have had folks tell me that adding about a teaspoon of rice in the toe area of a nylon that has been cut off and tied at the end also helps. It can be repurposed from container to container. Hope one of these tricks work for you! I ran out of my regular dishwasher liquid detergent and I wanted to make my own dishwasher soap. So glad, I found this recipe, I have been slowly changing over to making my own cleaners for my home. I cannot believe how much money I am saving. I live in Eastern North Carolina, so I will let you know how the soap works out in this area. Linda, I love that you’ve started making your own cleaners to save money! Yes, please let me know how the soap works out for you! unfortunately this did not work for me… 🙁 it left a residue on all my dishes and did not get them clean at all. Not sure if I have hard water or not. Was really hoping this would work. Any suggestions? Hi Amy! Well, first of all, I’m so sorry this detergent didn’t work for you. It sounds like you could have a hard water problem. You could try either putting vinegar in your rinse aid compartment (as long as manufacturer says it’s okay) or place some in a little bowl on the upper rack of your dishwasher. Vinegar often helps with any residue. Now, as far as the detergent not cleaning your dishes, what you could try is adding less of the baking soda and more of the washing soda. 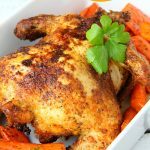 I hope experimenting with the recipe helps and you find something that works for you. Good luck! Do you know how long it can last for? I would like to go ahead and make a big batch to last the year. Do you think there would be any problems with that? JoAnna, the recipe I shared lasts me about a month. I would go ahead and make one batch and see how it works for you and how long it lasts you. That will help you decide how much more you need to make to last you through the year! Sounds like a really good recipe! Haven’t tried making it with lemi shine in it. Thanks for sharing! I’m stopping in from SITS girls linkup. I followed the recipe exactly. It’s now so hard I can barely scrape it out to use it. It also leaves my metalware (silverware, metal spatulas and stainless steel mugs) with a weird film that I have a hard time washing off. Katie, oh no! It could be a hard water thing. If you have hard water, DIY detergent methods don’t always work out the greatest. I’m so sorry it didn’t work for you! I live in Australia and I have never heard of Lemi Shine before. Do you know where I can get it from?. I do live in Victoria in the country. Wendy, if you can’t find the LemiShine, try Citric Acid in its place. Citric Acid can usually be found by the canning supplies in grocery stores or purchased online. Good luck! will it still work ok if I leave out the lemishine? Holly, the lemishine helps with white residue. If you don’t want to use lemishine, I would suggest substituting citric acid in it’s place. A couple questions – what is the best way to store this? A Tupperware container? And could I use a different essential oil, like tea tree? Thanks! I’m excited to try this!! A Tupperware container should be fine and yes, you can use any essential oil you like! I’l try this. The last one I used had Borax in it and I was less than pleased w/ the powdery, spotty results. I use Melaleuca’s product and it is by far, the best I’ve ever used. I’m hoping I can find something to compare that’s more cost effective. I hope it works for you, Dara! 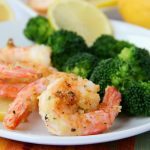 Those who are having difficulty with this recipe may want to use it to stretch their favorite brand of dishwasher detergent. 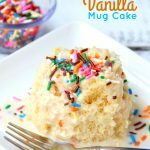 Try using a combination of homemade and your favorite brand until you get the results you like. My homemade detergent cakes up into a solid block if I don’t regularly stir or shake it up for the first 24 hours after combining the ingredients. After that it remains a loose powder. For some reason I get a brown powder reside left on my plates/bowls… Any ideas? Jacki, did you use the vinegar as well? The residue often happens with hard water, but the Lemishine and vinegar should have helped with that. Thank you for the recipe! Just wondering if you put the 15 drops essential oil per load or mix into detergent. Thanks! Mix it into the detergent, Lindsey! Good luck! I made this dishwasher detergent, and it worked surprisingly well for the first few loads. Then, I started noticing that the powder clumps in the dispenser and doesn’t get used throughout the cycle. I’ve tried using less, I’ve added vinegar to the rinse aid, I’ve scooped out the unused detergent and replaced it with new, but it continues to clump. Anyone else have this problem and have any ideas how to fix it? Did you use tabs or liquid before trying the homemade powder? Some dishwashers just don’t do well with powders. Some don’t even do well with tabs, but the fix for that is to throw the tab in the bottom of the dishwasher rather than the compartment. One more question. . .is the powder clumping in your storage container as well? It could be that the clumping is beginning in the container and then worsens in the dispenser. If this is the case you can put about 1/4 cup of rice in a cheesecloth or stocking (tie it at the end) and place it into your container. Check to make sure a dish isn’t blocking the opening. I am in Phoenix Metro area where water is hard, tried original recipe with not good results. Then I read the comments and threw everything at the next load. I did half the compartment with straight Lemishine and half original mix, put original mix in pre wash, vinegar in as rinse aid as well as a small bowl on top rack. Finally, I have clean dishes without white film!! A little more $$ to do this way but definetly worth it for me, thank you for sharing! I’m so glad you figured out a combination of ingredients that works for you!! I love trying out new natural cleaning recipes! I use homemade cleaners for cleaning at home but for the dishwasher I still use store bought product. It seems really easy to make and efficient. I love natural cleaning solutions and I will definitely try your recipe! Thanks for sharing! Greetings! I hope you come back and let me know what you thought, Alice! I hope you do try it! Let me know what you think, Jeanette! Does using YL lemon essential oil not harm your plastic dishwasher? Hi Kelly, I’ve never run into any problems. The amount you’re using each time isn’t enough to cause harm. Ok! So I made the recipe minus the essential oil. My first few loads were perfect. I was so pleased. Then about load five ALL my glassware and silverware was cloudy. I mean really cloudy. So I filled the rinse aid section with white vinegar. Then I tried two more loads. They aren’t as bad but they are not like my first loads.i shake my container each time so I know my powder is mixed. Any suggestions?!?! I was so excited. Now I’m devastated! It could be a hard water issue. You could try adding more Lemi Shine to the recipe. 1 to 1 1/2 cups to see if that does the trick. If it is truly hard water, homemade detergent recipes may not be the way to go. Let me know if you get better results if you try again! Tried your recipe, exactly. Most of the detergent stayed clumped in the dispenser, and what did come out, is plastered all over the dishes. 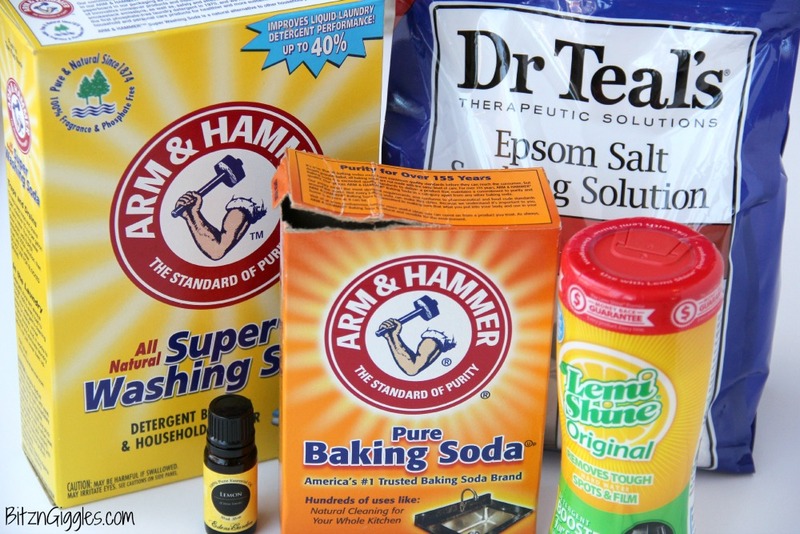 I’ve been using homemade laundry detergent and it works great. I would love to figure out a way to make this work too. Any ideas on troubleshooting? Thanks! Jessica, I’m not sure why it’s clumping in the dispenser. I’ve never had that happen. I’ve heard of some folks tossing the detergent right in the bottom of the dishwasher. I’m wondering if this might help? 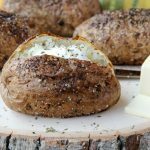 I made this exact recipe without the essential oils and I love it. It works fantastic for me. It doesn’t clump up or leave any film on my dishes. I did put a silica pack in the Mason jar so it wouldn’t clump up in there, which has worked great. Thank you for this! You are so welcome, Crystal! I’m glad it works so well for you! hola soy de Costa Rica me encanta hacer cosas en casa y ahorrar ,aqui no encontramos la sousa no se vende ,hay alguna otra receta alternativa ..muchas gracias ,saludos . No estoy seguro de qué producto te refieres a así que no estoy seguro de que puedo ofrecer una alternativa. ¿Me puede dar una mejor idea de lo que allí no vendía en Costa Rica? hola , gracias aqui no se encuentra el lemy shine y no se que es ese producto . Tampoco el washing soda ,puedes ayudarme con alguna otra opcion . It’s wonderful to have a dish washer recipe from you. I realised how expensive is the maintenance only after i bought it recently. So, your recipe is like a SOS. I have a question. This recipe can be replaced by all three ingredients we generally use in the dish washer? ( salt, liquid n powder detergent). I don’t have to buy anything else if I use this? Do I have to fill it in the compartment where we fill the detergent on daily basis? Please let me know. Yes, this detergent can be used daily and it’s meant to be used in the main cleaning compartment of your dishwasher. If you’d like, you could use vinegar to rinse. Good luck! Iam so glad that you shared most valuable recipe. I recently bought dishwasher not knowing expensive detergents coming along with it. My query is, the recipe which you shared is replacement for all the three ingredients which we use in the washer? ( salt, liquid deter n powder deter) and do we have to fill it in the compartment where we fill the detergent powder on daily basis? Please help me. I have been using this mixture for three months now. All of the sudden it is leaving white residue on all my dishes, glasses, and silverware. Very difficult, if not impossible, to get off. We just lost our home and everything we owned in a house fire, so the few things we have a precious!! Any suggestions on how to get the white residue off? I have been using vinegar in each wash cycle. I wonder if there is some mineral deposit build up in the actual dishwasher? You could also try a hot water wash with only vinegar and no dishes inside to try and give your dishwasher a good cleaning before you run your dishes through another cycle. When you’re using the detergent, maybe try and use less – about a tablespoon- and see if that helps. For those of you with clumping problems, we used a handful of those dessicant packets that come packaged with shoes and other items. My husband had saved some up, so we threw them into the Rubbermaid container with the dishwasher mix, and VOILA, no more clumps! Don’t open the packets, just throw them in, as is. We have soft water, so I just pour a glug of vinegar into the bottom of the washer, use a tablespoon of the powder and put a couple of drops of lemon oil in the dispenser too. For EXTRA cleaning assurance, put 2-3 drops of liquid dishwashing detergent into the dispenser, too. Sounds like a bit of work, but we get clean, filmless dishes everytime! Thanks for all the great tips, Kelly! If dispenser is broke and have jugs of soap as I. Freeze liquid dishwasher detergent in icecube trays, one is equivalent to amount in broken trap door. Throw one in when ready to start, usually soap releases in 5 to 8 minutes, it’ll melt in time. More frugal than $150 fix. I made this and I love it! I made a double batch and put it in an empty ice cream bucket under my sink along with the recipe written on the lid. I hope to never buy dishwasher tablets again! Thanks! Hi Amanda, I’m so glad you like the recipe and it works well for you! Isn’t is awesome to know the expensive tablets might be behind you for good!? It’s so much fun to share the DIY recipes with family and friends once you find one you love, too!